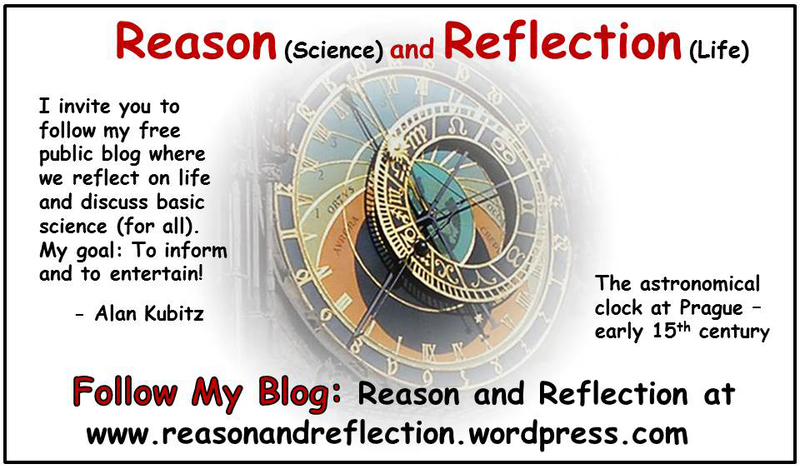 As its name implies, my blog embraces and celebrates both the spirit of science and the wonders and mysteries of life and living. 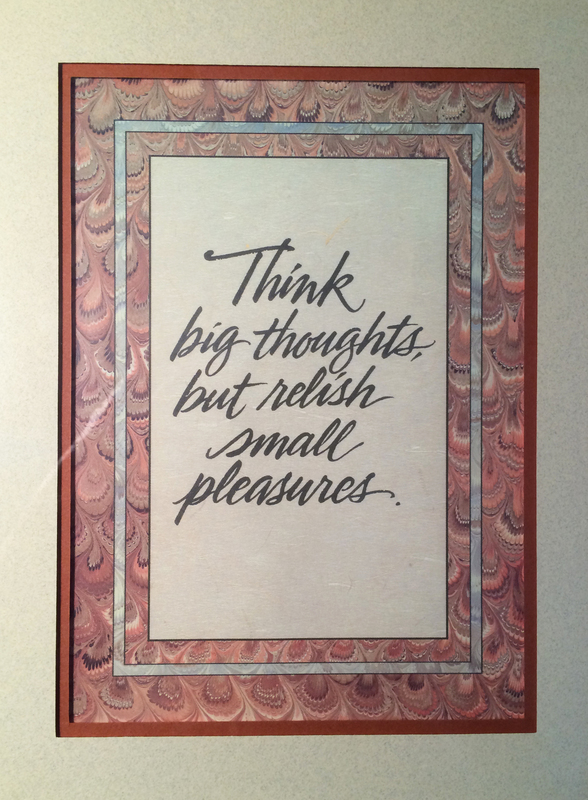 Always, do we take ample time to inquire and reflect upon our thoughts and the human condition. While our five senses are sufficient to observe and enjoy the world around us, those individuals additionally blessed with curiosity, insight, and a sense of awe and wonder are truly fortunate, for the ability to reason and reflect bestows great pleasure and comfort. In our modern world, it is easy to become distracted and dulled by the constant assault upon our senses – the result of instant, ubiquitous communication from multiple directions, not the least of which is advertising. This is not all bad, for we now have open to us many opportunities (blogs, for instance!) – the ability to stay in touch with friends and loved ones and the opportunity to stay informed, to learn more about the world around us through virtually unlimited information access. All of this made possible, of course, via the miracles of modern technology. As a retired electrical engineer who has always had a high regard for the lessons of history, I understand and appreciate how we have harnessed technology and pushed the envelope of knowledge and personal opportunity. I have lived and worked through a significant portion of that history as a long-time designer of computer peripheral equipment in California’s Silicon Valley. During my thirteen years of retirement, I have had time to digest the explosion of technology which occurred over the final forty years of the last century. Although a firm believer in what technology can continue to offer, today I am less intrigued by the newest internet gadget and latest technical tidbit and more interested in understanding and reflecting upon the immutable laws of nature – how and why things work at a fundamental level. Technology is obviously a derivative of scientific discovery. I mention this not to demean the technological progress that has so improved our lives, but to emphasize the fundamental importance (and joy) of basic scientific knowledge. During my forays into science and science history over the past twenty years, I have made the virtual acquaintance of scientists who, through the centuries, have peeled away many layers of that formidable onion which aptly represents nature’s secrets. The lives of these great pioneers put a very human face on mankind’s ongoing struggle to understand our world. The greatest of these pioneer scientists (“natural philosophers,” as they were called) have left a legacy which has immensely affected our lives today, and, appropriately, they enjoy a celebrity that will never die. Not a few of these passed through life unnoticed at the time, and that makes their stories all the more interesting. Technology is a dual-edged sword; it cuts both ways. It can improve life in so many ways by bringing us the world, but it can bog us down in trivia and cause us to lose focus on the real world which exists – the essence of things that really matter. Use technology judiciously and it will enrich your life; embrace it mindlessly, and much of real value will be missed. A major goal of this blog is to contribute to the awareness and appreciation of science, mathematics, and the natural world – in terms which will interest all viewers, no matter what their technical background. I will occasionally post my views on education, especially in science/math. My recently published book, “Nurturing Curiosity and Success in Science, Math, and Learning” is both a common-sense guide for parent/mentors and a compilation of my thoughts on education and learning. A key mission of this blog is to reflect upon the everyday aspects of our lives – the pleasures, the triumphs, and the heartaches as well as the major forces which affect us all. Hello. I was just searching online for information about the Mickey Mouse watch which was given to my late Mom as a gift when she was a child, and found your site. I believe I have the same watch that you describe – 1934 Ingersoll with original black leather band with two silver Mickey decorations on it. The watch does not run, but I haven’t taken it to a watchmaker to see if it could. Would you have any suggestion as to the best way to sell it, or would you be interested? Hello. My post on the Mickey Mouse watch is one of my most-viewed pieces. That fact bears testimony to the inherent appeal and marketing genius which has made this product, in all its forms, practically a national icon. As I write this, a thought occurs: I am sure that Apple would love to duplicate Disney’s success with its own, high-tech watch – a high bar, indeed! As for selling your Ingersoll watch, E-Bay is the first forum which comes to mind. Clearly, a working watch would fetch considerably more money. If you can find a competent watch repair person (I do not know of one, offhand), it might be a good idea to get an estimate of repair costs. It may be a simple problem, worth a small outlay to return the watch to operating status. I suspect there may even be vintage Ingersoll specialists out there who deal with these on a regular basis and who have access to genuine replacement parts from other cannibalized watches. Best of luck! Thank you for your piece on Lincoln. As i read and re-read parts of the blog, I found many memories spinning through my head as my mind took me back to how we all learn and apply the lessons of our life. Someday I hope we will have another opportunity to reflect on the memories which have become the building blocks that brought our families together. Thanks Bob! Linda and I look forward to the next opportunity to visit with you and Joan.